Tone and hydrate your skin with this light refreshing toner. 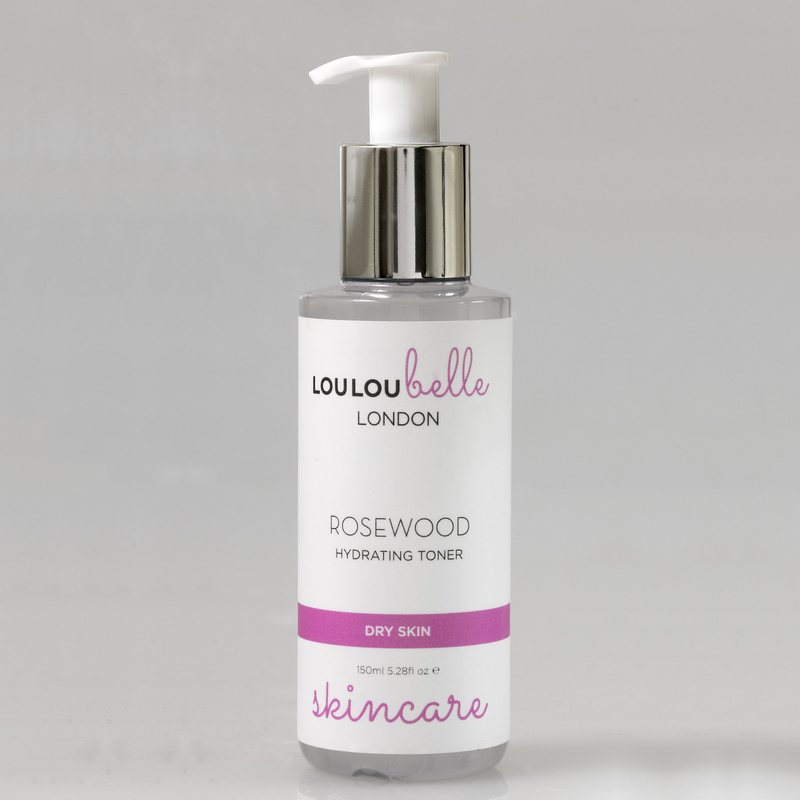 Rose floral water and essential oils of Rosewood and Chamomile are used to hydrate, calm the skin, whilst Aloe Vera soothes your skin. After cleansing, apply the toner on to a cotton pad and then wipe all over the face and neck avoiding the eye area and allow to sink into the skin. This will allow your moisturiser to penetrate the skin more effectively. Follow with your Palmarosa & Patchouli moisturiser. A light refreshing toner, smells gorgeous and fresh, leaves skin feeling soft and silky, would definitely recommend. I’m very happy with this toner. It works well on my skin, it’s soothing and I love the hydrating effect. The scent is delicious and it’s my favorite LouLouBelle product. I’m head over heels in love with this toner. It’s such a wonderful product. It isn’t easy to find the right toner when you have dry and sensitive skin and this one positively surprised me, it works miracles for me.